The French Civil Aviation University (French: École nationale de l'aviation civile), also known as ENAC, is a French public aeronautical grande école created the 28th of August 1949 and located at Biscarosse, Carcassonne, Castelnaudary, Château-Arnoux-Saint-Auban, Grenoble, Melun, Montpellier, Muret, Saint-Yan and Toulouse, in France. It is member of the Conférence des Grandes Écoles, University of Toulouse, Aerospace Valley and is one the fifth founder of France AEROTECH. ENAC provides training in civil aeronautics. The university has around 25 courses, including aerospace engineers, technicians, Masters, Mastères Spécialisés, airline pilots, air traffic controllers, managers and flight instructors. Air travel grew rapidly in France after World War II. Safe air transport required staff trained specifically for this activity. It also required people in different sectors of the aviation world to work together and understand each other. That is why ENAC was started. Max Hymans, the secretary general of civil and commercial aviation was the chief organizer. ENAC is created the 28th of August 1949 (Decree 49-1205) in Paris. The university was located at Orly, south of Paris. René Lemaire considers ENAC as "a university of aviation safety". This priority given to safety is natural for ENAC, being the first reason for the training of future technicians and future airmen in a single university. A report of the Inspection générale de l'aviation civile said "It was in the minds of the creators of the univerisity, to develop between the crew and the ground staff a community of ideas, reciprocal knowledge, and esteem, that are essential for the teamwork required by air transport." Training courses were longer or shorter depending on specialty. The decree of the 13th of October 1959 announces the first partner of the university: Air France. It results in a sharing of tasks and establishes a recruitment for airline pilots students with no previous flight experience. Previously, on an experimental basis, the university welcomed in 1958 the first airline pilots students. ENAC buildings and aircraft at the Saint-Yan Airport. Meanwhile, ENAC developed cooperation with the École nationale de la météorologie and promoted the training of this subject for air traffic controllers. After World War II, ENAC helped the conversion of military aircrew. The Service de l'aviation légère et sportive (SALS), under the decree of the 31th of March 1951, provided free flight training for airline pilots candidates coming from the army. From 1949 to 1959, the number of courses held increase from 6 to 64 and the number of students from 49 to 800. in 1956 was created the navigation instructor rating, with the opening of the corresponding training. Sometimes a course is simply set to meet a need. In 1958, the airline pilots theoretical training course started. Life at ENAC Orly is then punctuated by the yearly trip for all the students, undoubtedly one of the highlights of the studies. It has its share of unexpected, but its rites, as the reception in full uniform of the university officials and the students by local authorities, on arrival at a new location. The university moved to Toulouse in 1968 where is now located the main campus. 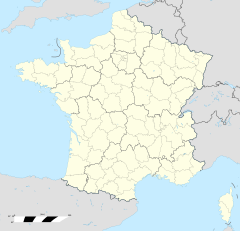 It also changed from an external department of the French civil aviation administration to a public Administration institution in 1970. However, traffic at Paris-Orly Airport grew rapidly. In the mid-1950s planning began on a new location near to Parisian airports. Decentralization was among the motives. The potential locations are all part of a 150 km radius around Paris, among other Melun, Pontoise, Coulommiers, Étampes, Reims, Évreux, Chartres, Orleans, etc.. A report dated the 20th of May 1959, lists the disadvantages of a location too far from Paris. A René Lemaire analysis, in its report dated the 14th of June 1960, supported a transfer to Toulouse. Toulouse 1 University Capitole is one of the oldest universities in the world. The École nationale supérieure d'ingénieurs de constructions aéronautiques had settled in Toulouse since 1961 and the École nationale supérieure de l'aéronautique et de l'espace was going to move from Paris to the city). On the 15th of June 1961 the transfer to Toulouse was approved by Prime Minister Michel Debré. It was confirmed by his successor Georges Pompidou in a letter dated the 23th of July 1963. April 1966 began the construction of new buildings on the campus of Rangueil. The project ended the 19th of August 1968 when the staff is invited. The academic year started the 16th of September 1968. 500 students are expected, including 325 who start their training. These are as follows: 15 air navigation engineering students, drawn largely from École Polytechnique, 70 engineering students in air navigation from two-years studies after French Baccalaureate, 60 airline pilot students, 100 air traffic controllers students, 40 electronics students, 20 commercial pilot students and 20 flight dispatcher students. Although it thought it is better not to decide about the status of ENAC before the university opened its doors to its new campus, the Commission permanente has taken into consideration the problem of an inadequate legal status . This problem is old : identified shortly after the creation of the university, he has resurfaced many times, as the inspection reports that relate to the management of the institution shown. ENAC is closely followed by its supervisory authority. Inspection reports are occurring at a rapid cadence, in average one every two years, sometimes more. The judgment focused on the management of the institution is sometimes severe. These same reports, in the mid-1950s, contest the existence of the university, which was not the case in the previous years. As an example, the report (confidential) of Brancourt Controller the 12th of March 1952, based on the organization and operation of ENAC. We learn that the university has "a lack of doctrine", that "there is a certain tension with the training center of Air France", and even that "ENAC is madness". In reality, the weaknesses can be largely explained by the difficulties caused by the inadequacy between the status of ENAC and the nature of its business, which requires it to provide courses for students and trainees who are not all officials from its supervisory authority, or to use teaching staff from very different origin. The heavy process for allocating university budget is in trouble as soon as other types of income are reduced, such as non-public resources. This happens more in the years 1958-1964. In 1962, the management of ENAC is thinking about increasing tuition fees, courses prices and fees for customers outside from the French civil aviation authority. However, the status of the institution submits the necessary prices adjustments to an approval process so difficult that finally is blocked. That's why, another type of status, "public administrative institution", appears much more appropriate. The final decision is taken by Decree No. 70-347 of the 13th of April 1970, with application the 1st of January 1971. Become a public administrative institution, ENAC is endowed with a board of directors. René Lemaire is the first president. From 1975 a new thing is starting. It consists of an increase of the proportion of engineering students called "civilians" in opposition to the "officials" (civil servants) engineering students. ENAC is becoming a major player in the training for aerospace industry (civilian personnel), while its primary goal was only the training of officials for direction générale de l'aviation civile. It is true that the existence of students for the private sector is not new at the university : it was in 1956 that are trained the first of them. At the end of 1950s, however, this recruitment affects only a minority of students. It is primarily done to compensate the disadvantage which consists of the highly different number of students to work in the administration and to prevent the size of successive promotions with a too great difference. However, this second source tends to become more and more important, to finally become the first one. This results in an revision of the teachings. ENAC engineering education, particularly that of the specialty called "facilities" - it focuses on electronics - seduce the industrial sectors of electronics and information technology. Without having particularly desired, the university has progressively the role of a National University of Engineers. Industry oriented university, research appeared in 1984, following the law on Higher education which provides that "engineering education [...] has a research activity, basic or applied, " and is organized around four areas: electronics, automation, computer and air transport economy. The university then feels interest for future engineers to learn research methods: while the method of deductive reasoning, for a long time favored by teachers in the two-years studies after French high school diploma and universities, shows its limitations, the method of inductive reasoning, characteristic of research, appears progressively better adapted to the nature of functions performed by today's engineers. The most recent manifestation of the growing interest in research at ENAC is the creation of the air transport economics laboratory, which designation reflects the desire to study, in addition to air transport itself, certain related activities such as air navigation. The mid 1980s saw the emergence of mastères spécialisés programs. They are born for most of them from an industrial demand, including the groupement des industries françaises aéronautiques et spatiales, in order to support the export contracts by training. Indeed, while filling the needs of many French students or professionals, they can train in a relatively short period some foreign executives. The same period saw the diversification of continuing education at the university. The continuing education courses are organized in five main areas: air traffic systems, electronics, computer, aeronautics and languages/humanities. The international dimension of the university grew in the 1990s. It is constrained, however, by the design and implementation of the new cycle for air traffic controllers. The effort required a specifically European component. It consists first in the participation in European projects such as EATCHIP (European Air Traffic control Harmonization and Integration Program), then in joining mobility programs for students such as Erasmus or Socrates. Under these programs, the university welcomes a growing number of foreign students. In doing so, it forges close relations with foreign universities, including those of Berlin and Darmstadt in Germany, as well as the one of Tampere in Finland. Since 1990, the university has new missions. Thus, ENAC negotiates new contracts for studies and research abroad. The 2000s are the years of the creation of courses entirely taught in English language and the development of activities focused on air navigation. In 2009, the university and its alumni association organize the first edition of the salon du livre aéronautique (aeronautical literary festival) in Toulouse. In December 2010, ENAC becomes an ICAO center for training in aviation security. Meanwhile, the university develops new teaching facilities: the air traffic control simulator "CAUTRA", the aerodrome control simulator "AERSIM", an Airbus A320 flight management system simulator, a static model of the Airbus A321' s engine and the laboratory of telecom networks. Since the 1st January 2011 and the merging of ENAC with the SEFA, the university is the biggest European aviation university. The current head of the university is Olivier Chansou, after Marc Houalla who was SEFA director from 2006 till the 1th of January 2011. It is the eighth person to be director since 1949. He was elected the 27th of November 2017. The directors since 1949 are given in the following table. International relations and development council. In addition to these three councils, the university has a director's office which includes communication and cultural affairs, a division of information systems and a general secretariat dedicated to legal management, logistics, financial and human resources. 102 million euros in subsidies. ENAC has eight campuses and can provide accommodation. It also has a canteen, cafeteria, library, computer rooms, sports halls including a fitness room, a sports field, a rugby field, five tennis courts, a beach volleyball and a golf driving range. Its main campus is located at Rangueil (Toulouse). ENAC has a fleet of 130 aircraft of different types: CAP-10, Socata TB-10, Socata TB-20, Beechcraft Baron 58, Beechcraft 200, ATR 42, Diamond DA40 (to replace the Socata TB-20) and Diamond DA42 (to replace the Beechcraft Baron 58). On its Toulouse campus, the university has flight simulator Robin DR400 and Socata TB-20, and also some static simulators of Airbus A320 and Airbus A340. In the air navigation department, it has control tower simulators (at 120 or 360 degrees). ENAC has four Bachelor's degree courses to train pilots and aerospace technicians. ENAC provide theoretical training for pilot students in eight months in its campus of Toulouse. Practical training of 16 months is given in the other campuses of the university in Montpellier, Carcassonne, Saint-Yan or Muret. There is also training for various aviation technicians. In addition, the university has seven Master's degree programs to train people for both aerospace industry and French civil aviation authority. Courses of Air traffic controller and Air Traffic Safety Electronics Personnel are done by the university. The Ingénieur ENAC course trains aerospace engineer in three sectors : electronics and aeronautical telecommunications (L), computer systems and air traffic (S) and aeronautical engineering (T). The university has created in 2007 a Master's degree in International Air Transport Opération Management, in 2011 the course Master's degree in Global Navigation Satellite System supported by the European Commission and in 2012 the Master's degree in Air Traffic Management in partnership with the Massachusetts Institute of Technology. The Master's degree in Human–computer interaction (IHM) is realized in cooperation with the Paul Sabatier University. Finally, the French Civil Aviation University provides seven Mastères Spécialisés courses in the fields : airport management, air transport management (in partnership with Toulouse Business School), communication - navigation - surveillance and satellite applications for aviation, aviation safety aircraft airworthiness (in partnership with other grandes écoles), air-ground collaborative systems engineering, aviation and air traffic management and aerospace project management (APM) (in partnership with other grandes écoles). The former students of the three Master programs, the Ingénieur ENAC course, as well as those of the Corps of Bridges and Roads and those of the Mastères Spécialisés courses was represented by an association, INGENAC, created in 1988, member of the CNISF (French scientific and engineer council) and in Toulouse. The 16th of March 2012, INGENAC decided to represent all the former students of the university and changes its name to « ENAC Alumni ». Each course of the university has its own recruitment process. An ENAC aircraft at Airexpo on Muret - Lherm Aerodrome the 28th of May 2011. Students of the aerospace engineer course can study at the two other grandes écoles members of the groupement des écoles d'aéronautique, and also at the National Polytechnic Institute of Toulouse and at Nantes business school. Moreover, as part of France AEROTECH, an exchange of third year engineering students is under elaboration with the grandes écoles of this network. In another country, students have access to the Erasmus programme and to Pegasus. In the aerospace engineer course, the university welcomes 8% of foreign students in 2011. Considering all the courses, this number is 46% in 2010. The university has also agreements with : Embry-Riddle Aeronautical University, Florida Institute of Technology, University of California, University of Washington, École africaine de la météorologie et de l'aviation civile. It also educates people of the Agence pour la sécurité de la navigation aérienne en Afrique et à Madagascar. Also, ENAC is a founder of the Institut sino-européen d'ingénierie de l'aviation of Tianjin. On this city, the university has four Mastères Spécialisés courses at the Civil Aviation University of China only for Chinese students : airport management, aviation safety management - airworthiness, aviation safety management - flight operations and aviation safety management - aeronautical maintenance. Finally, in December 2011, the university has signed a partnership with the École des Ponts ParisTech and the Académie internationale Mohammed VI de l'aviation civile to start an Executive MBA in aviation management for aerospace people in March 2012 at Casablanca. Research is a growing business at ENAC. Industry oriented university, it appears in 1984, following the law on higher education which provides that « engineer training...contains a research activity, pure or applied ». It was originally organized around four areas : electronics, automation, computer and air transport economy. Mid-2009, the research teams was in the following laboratories : automation - operational research (LARA), economy - air econometrics (LEEA), study - optimization of telecommunications networks architectures (LEOPART), electromagnetism for aeronautical telecommunications (LETA), interactive computer (LII), applied mathematics (LMA), air traffic optimization (LOTA) and signal processing for the aeronautical telecommunications (LTST). ENAC also has, since 2005, a team specializing in UAVs that maintains and develops Paparazzi, a free system for automatic control of UAVs, unmanned aerial vehicle laboratory. The infrastructure includes also a planetarium and an air traffic control simulator. ENAC is a founding member of the European academy for aviation safety (EAFAS), network of the key training organizations in the field of air safety. During the Paris Air Show of 2005, the university announces a partnership with Office National d'Études et de Recherches Aérospatiales in the fields of air traffic management, air safety, satellite navigation, sustainable development and air transport economy. End of 2011, the university has established a new research organization that are six transverse programs : UAVs and air traffic management, airports, aircraft and air operations, human-computer interaction, air/ground communications and sustainable development, everything is now based on four laboratories : applied mathematics - optimization - optimal control - control engineering operations research (MAIAA), signal processing - satellite positioning system - electromagnetism - networks (TELECOM), architecture - modeling - engineering of interactive systems (LII) and economics - air transport econometrics (LEEA). Several famous pilots have studied at the French Civil Aviation University like Émile Allegret, soldier and member of the French Resistance during the World War II, Xavier Barral (Promotion 1966), former President of the association des professionnels navigants de l'aviation (Professional aircrew association), Noël Chevrier (Promotion 1970), antistress center manager at Air France, Gérard Feldzer (Promotion 1971), former President of the Aéro-Club de France, Bernard Pestel (Promotion 1972), vice president of the société française de droit aérien (French Air Law company), Béatrice Vialle (Promotion 1981), one of the two female Concorde pilot and the first French female pilot on a supersonic airliner. Particularly because of its status of a French civil servant university, some civil servant has been student at ENAC like Jean-Marc de Raffin Dourny (Promotion 1966), President of the organisme pour la sécurité de l'aviation civile (organization for the safety of civil aviation), Michel Bernard (Promotion 1967), former head of the Agence nationale pour l'emploi and former President of Air Inter, Paul-Louis Arslanian (Promotion 1968), former head of the French Bureau d'Enquêtes et d'Analyses pour la Sécurité de l'Aviation Civile, Jean-Paul Troadec (Promotion 1970), head of the Bureau d'Enquêtes et d'Analyses pour la Sécurité de l'Aviation Civile, Michel Wachenheim (Promotion 1975), French ambassador. Some alumni of the university became managers like Yves Lambert (Promotion 1959), former head of Eurocontrol, Gérard Mestrallet (Promotion 1971), CEO of GDF Suez., Jean-Michel Vernhes (Promotion 1971), head of the Toulouse-Blagnac Airport, Jean-Charles Corbet (Promotion 1974), former head of Air Lib, Olivier Colaïtis (Promotion 1977), President of Galileo, Lionel Guérin, founding President of Airlinair, Philippe Crébassa, head of Toulouse-Blagnac airport, Franck Goldnadel (Promotion 1990), former head of the Paris-Charles de Gaulle Airport, Régis Lacote (Promotion 1997), head of the Orly Airport, Méziane Idjerouidène (Promotion 2003), general manager of Aigle Azur. Few intellectuals graduate from the university like Jacques Villiers (Promotion 1948), founder of the Centre d'études de la navigation aérienne (French air navigation center), Jean Peyrelevade (Promotion 1961), politician and business leader, Hamza Ben Driss Ottmani (Promotion 1963), Moroccan economist and writer, Alain Lefebvre (Promotion 1970), Journalist, Solenn Colléter (Promotion 1993), novelist., Nicolas Tenoux (Promotion 2007), Philanthropist. In science, personalities like Gabriel Weishaupt (Promotion 1948), founding member of the Académie de l'air et de l'espace, Jean Robieux, Physicist, Georges Maignan (Promotion 1955), former director of the experimental center of Eurocontrol, Gérard Desbois (Promotion 1979), younger flight engineer graduate and crew member during the first flight of the Airbus A380, have studied at the university. Some aerospace personalities teach at the university such as Hervé Hallot, meteorology teacher and co-author of Météorologie aéronautique, Joel Laitselart (TAE 87), air operations teacher and former operations manager of Aeris airline, Patrick Lepourry, head of the engine department and co-author of Propulseurs aéronautiques, Instruments de bord and Initiation à l'aéronautique, Félix Mora-Camino, head of the control engineering department and co-author of Avionique - Tome 2, Système de conduite automatique et gestion du vol, Yves Plays (IENAC S71), head of the specialized master in air transport and co-author of Initiation à l'aéronautique., or Frantz Yvelin, founder of two French airlines. ↑ "Bienvenue sur le site de l' Ecole Nationale de l'Aviation Civile - Formation aéronautique (Ingénieur, Aiguilleur du ciel, Pilote de ligne,...) | ENAC". Enac.fr. Retrieved 2011-10-10. ↑ ENAC is a French acronym. ENAC stands for "École Nationale de l'Aviation Civile". ↑ (French)Développement d'algorithmes de planification tactique de trajectoires avion. ↑ (French)Michel Bernard va piloter l'ANPELe successeur de Michel Bon a fait sa carrière dans l'aéronautique. ↑ (French)Michel Bernard, PDG d'Air Inter: ""Nous allons nous ouvrir sur l'international""
↑ (French)J'AI ENDURÉ UN BIZUTAGE INFERNAL. PAR SOLENN COLLÉTER. ↑ Besse, Jacques; Hallot, Herve; Labyt, Didier (2002). Meteorologie aeronautique. ISBN 978-2-7238-0373-1. Wikimedia Commons has media related to École nationale de l'aviation civile. This page was last changed on 7 February 2019, at 20:17.